The Minister of Sport visited Pomerania on Saturday, where he participated in the opening of next two playgrounds included in the program “My Playground Eaglet 2012”. Asked about an opinion on the state of preparations to Europe football championships in Poland Minister Drzewiecki stated, that he recently participated in a cycle of meetings of organizer cities’ representatives. „I can say that today the best situation, unlike at the beginning, is in Warsaw, since that stadium is actually under construction, even though it all started at last. The tender was successfully finalized. The old stadium-turned-marketplace is gone, the rubbish take away and currently piling and groundwork are being done, everything is going fine and it seems that they will be ready before the deadline.”, the minister told the journalists. He also assessed the state of preparations in Gdansk, where – he stressed – the detailed engineering was 80% finished. ”I am confident of Gdansk since it followed Warsaw’s example with the National Sports Center closely and NCS-u, which is the Ministry of Sport company and this was probably a very good choice, because if I were to assess Wroclaw, there is another type of situation: they have a construction design, but there is no detailed engineering. An attempt to organize a „design and build” tender is a good idea, but I cannot be sure if it will not postpone the construction of the stadium in Wroclaw to after six months later.” added minister Drzewiecki. 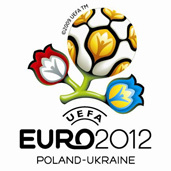 He remarked, that Poland is preparing to Euro 2012 as if the games were to take place in six cities. ”Since these are the greater Polish cities, they need their own football stadiums anyway, regardless of whether Euro will take place there or not. These are long-term investments and necessary ones too”, the minister of sport continued. Another two complexes of football pitches built as part of the “My Playground Eaglet 2012” program, have been constructed in Stężyca and Chojnice. They were the 69th and 70th playground sets in Poland built as part of this program. The region of Pomerania is the leader in this program, which is of major importance for children and young people. Our objective is to build over 2,000 such objects within the next four years”, he said at the opening of the playgrounds in Stężyca. The head of the ministry of sport and tourism turned to the young people present at the celebration saying that he would hale become a footballer if he had had the chance to use one of the “Eaglets” when he was a child.